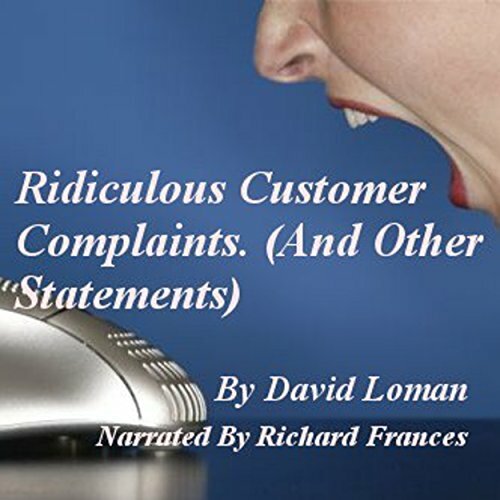 Showing results by author "David Loman"
"The customer is always right" - or so anyone who has ever worked in any service industry is repeatedly told. In this book I have set out prove that statement is completely untrue and in fact, with customers like these, then maybe the opposite could be said. So sit back, grab your self a drink - perhaps an alcoholic one if you feel that way inclined - and enjoy some of the strangest, most ridiculous, and most outrageous complaints and statements from all walks of life. 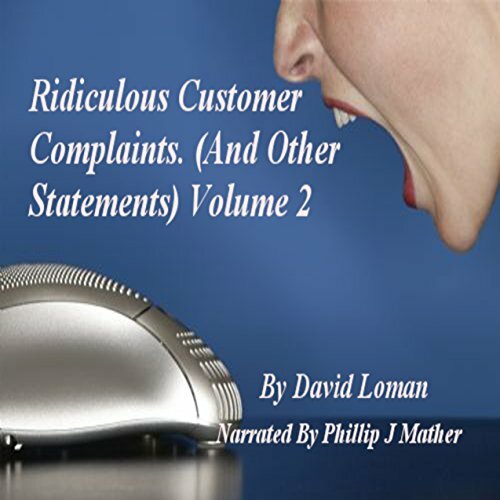 In this series of books, I have set out prove that statement is completely untrue and in fact with customers like these then maybe the opposite could be said. As with the first book, these excerpts and comments are all true (as far as I am aware) and though some you may have heard before, I hope there are plenty that you haven't!